Hey guys, I'm Robert McCall, and I'm the Dynamic Discs Team Manager. Each week, I like to share a quick tip I've learned over the years. Fun fact for the day/forever: disc golf can be frustrating sometimes. For me, there are a few different types of frustration on the course, and each one affects me differently. Some days, I'm executing the shots and putts I want to, but the drives are getting awful kicks and the putts are getting spit out or cutting through. It's difficult to be really upset on those days because I'm doing my job and just getting unlucky in places. However, my more frustrating days come when I'm not executing shots, missing putts low, or losing confidence. Those rounds have little to do with luck and more to do with preparation and mental toughness. Both are frustrating, but I have more I can learn from the latter. Disc golf is so multifaceted that almost every part of your game can feel perfect, but if one portion isn't just right, everything else seems to crumble with it. I've been struggling with this lately, personally. Pros and teachers always emphasize the importance of the short game, upshots, and putting, as they're considered difficult and important for scoring well. I've been pretty consistent at executing in those areas, but I've had a difficult time throwing accurate distance shots to give myself opportunities to score. I'm not failing to get opportunities to score because of bad kicks or bad luck, but rather because of imperfect tee shots that find decent spots instead of scoring spots. When my game (or your game) feels like this, it's time for field work. Field work accomplishes a couple of important things for your game: it increases consistency in your release points and angles, and it allows you to watch your discs fly on lines that you're not accustomed to seeing. When doing field work, you can practice more throws in a shorter period of time, making it one of the most effective practice methods we currently have! 1. If you're working on consistency and trusting your discs, use the actual discs that make up your bag. If you're working on release points or angles, use the discs in your bag along with others you'd like to test. 2. Make every throw count. Be intentional about all of your mechanics, and pay attention to the results of each throw. If you're working out hitches or unnecessary motions in your form, don't worry that the shots don't look just right or go where you want, but take note of the results so that you can adjust accordingly. 3. Throw your discs on different lines than you typically do. Try your Enforcer on a spike anhyzer, or throw your eMac Truth on a huge hyzer. Try your Escape on a roller line. When you throw your discs in an open field with no restrictions, it's easier to learn what's possible from the discs you currently use. 4. Split your field work into two sessions: open/experimental and target practice. The portion of throwing all discs on all angles falls into the open session, but I think it's important to aim and achieve specific, useful-for-the-course shots in the target practice section. Next time you are having trouble controlling your throws or angles, give intentional field work a try. 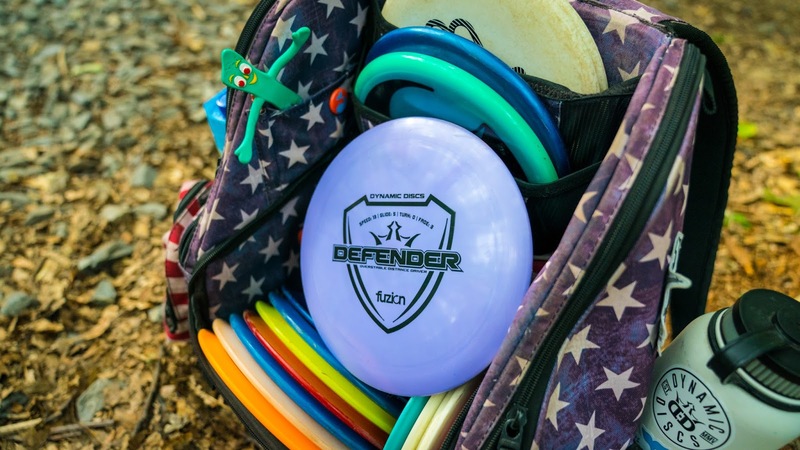 You'll likely learn something new about your discs or your form, and you'll get good practice in a condensed period of time. How do you practice field work? Do you have methods that work well for keeping it interesting and getting past plateaus? I'd love to hear and discuss them with you! Please feel free to submit a question to the Disc Golf Answer Man podcast or reach out to me via my social media links below. See you next week! Thanks for the article Robert!